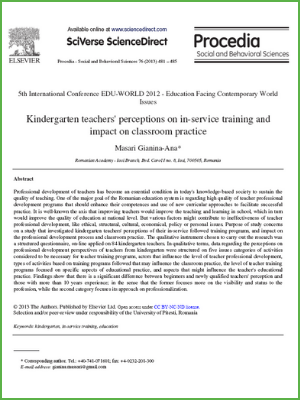 aspects that might influence the teacher's educational practice. Findings show a significant difference between the perceptions of beginners and those with more than 10 years experience. While the new teachers tend to focus more on the visibility and status to the profession, more experienced teachers focus on approach on professionalization.